My app generates a minimum of 40 downloads a day. How do I increase that number? Firstly, use your social media potential. Social media allows your readers to share your content with their friends in an easy way. Write Facebook posts and Tweets about your mobile app. Remember to add a link to app store. Make your social media post more visible by adding rich multimedia content such as audios, images, relevant screenshots and videos. Pin this post on top of the Facebook/Twitter page, to make it visible to all visitors. Secondly, use websites like Quora or Reddit. Quora (http://www.quora.com) - Quora is an incredible tool to reach millions of people looking for some information. 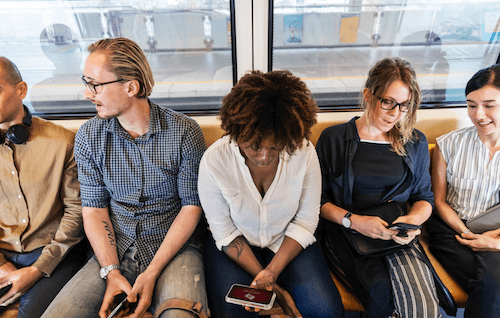 Get high-quality traffic to your publication and influence people by injecting in the discussion and leaving quality answers with link to your magazine app. If you can not find question to answer, find related one or more general, or simply ask this question. Reddit (reddit) - Reddit is one of the biggest internet community of many interests. You can find the most suitable discussions (subreddits) to join or create you own. Do not forget to link to your blog posts and interesting content that promotes your publication in the background. Join Reddit. If you want to know more about promoting an app, read this article: Over 10 000 App Installs. How to Promote a Mobile App to Achieve That Much?